President Paul Kagame will have to tackle the far larger task of reforming the African Union as he takes over as chairman at its main annual summit. 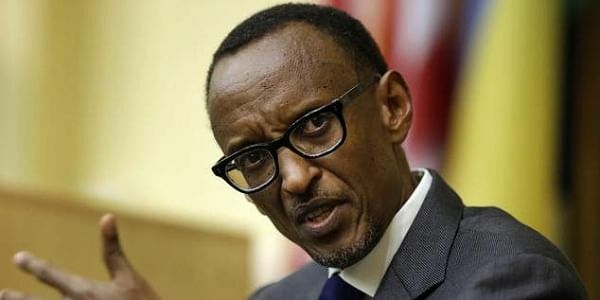 ADDIS ABABA: Feted for turning around tiny, conflict-torn Rwanda, President Paul Kagame will have to tackle the far larger task of reforming the African Union as he takes over as chairman at its main annual summit. The reform agenda proposed by Kagame and backed by AU leadership will dominate a summit in Addis Ababa on Sunday and Monday, where heads of state and government are also expected to make a joint denunciation of Donald Trump's reported slur on their countries. "I think Kagame will do everything possible. He wants to leave his name here," the diplomat said on condition of anonymity. "At the end of the day, everyone thinks they need to reform, but what is going to happen is going to be very weak." Kagame, succeeding Guinea's Alpha Conde as AU chairperson for a one-year term, has proposed a raft of reforms including appointing a troika of leaders to represent Africa globally. While many admire how Kagame has turned his country around and maintained a grip on power since 1994, others resent his efforts to reform the AU -- seen as a lumbering bureaucracy that, to most Africans, is largely irrelevant. "He's a village chief who had some success in the village," the diplomat said. "He tried to use the village method in the city and people said 'hello? It doesn't work like that here.'" Kagame has championed a proposal approved in 2016 to levy a 0.2 percent tax on each country's imports to finance the AU, which would provide the the organisation with $1.2 billion (965 million euros). That has run into resistance from the continent's five largest economies including Egypt, South Africa and Nigeria, whose contributions alone would make up 48 percent of the AU's budget, said Elissa Jobson, an AU specialist at the International Crisis Group. "Without those five countries, the levy does not make any sense," Jobson said. The summit is also expected to feature a joint denunciation of reported comments by US President Donald Trump deriding Africa as a continent of "shithole countries." Trump on Friday asked Kagame to pass his "warmest regards" to other African heads of state, during a meeting at the World Economic Forum in Davos, Switzerland. "Africa has not finished digesting the words of the president of the United States, who shocked us profoundly with the message he conveyed of contempt, hatred and desire for marginalisation and exclusion," he told foreign ministers in an address. In December, war-torn South Sudan agreed to a "revitalisation" of its 2015 peace agreement, but that has been repeatedly violated. Meanwhile further discussion on the topic of illegal immigration and the existence of slave markets in Libya are expected, coming on the heels of November's EU-Africa summit in Ivory Coast.